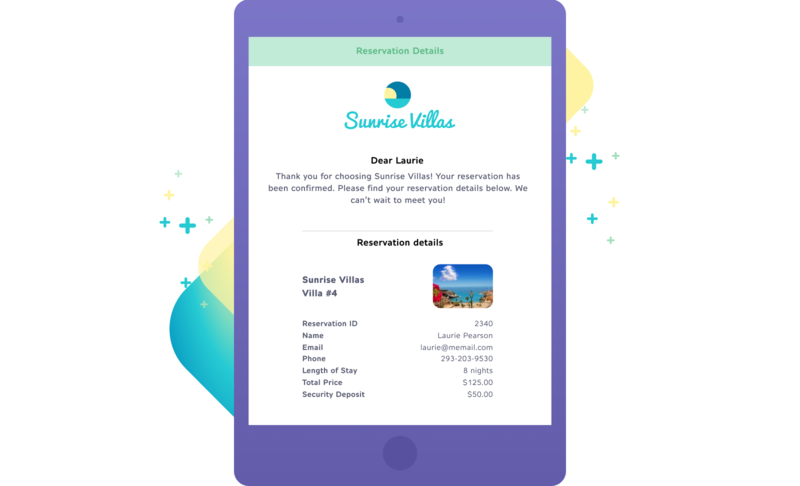 Whether your guest emails you, requests details in a booking, or across other channels, Futurestay provides branded, automated communications on your behalf. Your guest will always be up-to-date about their reservation status, check-in and check-out details, and more. These communications develop trust between you and your guest.